If you’ve ever wanted the convenience of using a debit card without the prerequisite checking account, then a prepaid debit card might just do the trick. In recent years, prepaid debit cards have risen in popularity and so have their offerings. However, the fees can sometimes be a little pricey and, with lower protections, comes greater risk. That’s why you want the best prepaid debit card on the market, and we’ve reviewed the year’s top choices. Take a look at this rundown and apply online in minutes for the prepaid debit card that’s right for you. The AccountNow Gold Visa Prepaid Card is one of the easiest prepaid debit cards to get approved for because of its flexibility. Your credit history doesn’t need to be stellar and all you have to do is verify your identity to get approval. Furthermore, there’s no minimum balance requirement and no risk of overdraft fees, which can come with the territory on a traditional bank account. No need for a credit check, ChexSystems check, or an existing bank account. Just verify your identity and you’re ready to go. No activation fee, overdraft fees, or minimum balance to worry about. Get your account balance and transaction details sent to your phone with easy mobile account access and text alerts. Much like the AccountNow® Gold Visa® Prepaid Card, the 24k Prepaid Visa® RushCard isn’t too hard to get ahold of. In fact, there’s no credit check or minimum balance required – you just need to prove that you are who you say you are with a valid ID. While this card does come with a maintenance fee to contend with, the access to Visa benefits and easy acquisition more than make up for it. There’s even a $30 bonus for you and a friend when you refer a RushCard to someone you know. Terms Apply. Because PayPal™ is the authority of online payments, it stands to reason that the PayPal™ Prepaid MasterCard® is one of the best prepaid debit cards on the market. While the card costs $4.95 per month, it offers unlimited signature and PIN purchases as well as cash back from select specialty stores and restaurants. It also offers the advantage of transferring money between your card and your PayPal account. Theoretically, it is possible to link other prepaid cards to your PayPal™ account, but I’ve heard of many problems associated with the difficulty of linking them. In addition to your PayPal™ account, you can add money with direct deposit, or at over 130,000 NetSpend Reload Network locations nationwide. Fees may apply at these locations. The Fifth Third Access 360° Reloadable Prepaid Card offers utmost convenience and a ton of handy perks. Better yet, acquiring the card and using it can be insanely cheap. This card doesn’t charge any fees to sign up, nor does it charge fees for adding, withdrawing, or transferring money. You can use it anywhere MasterCard is accepted and you can add money to the card in a bank branch or using their mobile app. The best part is, you can easily withdraw cash fee-free from more than 45,000 ATMs nationwide. A $4 monthly fee does apply, but you can have this fee waived if you’re a Fifth Third Banking customer or if you deposit more than $500 onto your card each month. The MOVO® Digital Prepaid Visa® Card is easy to acquire and nearly free to use. For starters, you don’t need a credit check to sign up. There are no monthly fees and no fees for inactivity or activation. There are no fees for purchases made with the card either, making this a good card for people who want to keep costs down. While the MOVO lets you withdraw cash from included ATMs for free, there are only 6,000 ATMs in their network. This could make this a poor card option for anyone who withdraws cash frequently or doesn’t live near an included ATM. Fortunately, the MOVO® Digital Prepaid Visa® Card does make it easy to load cash on your card. You can do it via direct deposit, a bank account transfer, withdrawal from Paypal or Venmo, or a cash load at qualifying retailers like Walgreens and Safeway. The Western Union® NetSpend® Prepaid MasterCard® offers several features that make it both easy-to-use and inexpensive. Like most prepaid cards, it offers free deposits of your paycheck or government benefits such as Social Security, SSI, or SSDI. However, it also comes with the added benefit of letting you accept Western Union money transfers directly on your card without charge. The card comes offers a pay-as-you-go option with no monthly fee, but that version charges $1 for each signature purchase and $2.00 for each PIN transaction. If you plan to use your card frequently, you would probably be better off signing up for the $9.95 per month Monthly Fee Advantage Plan or $5.00 per month Premier Fee Advantage Plan. Both offer unlimited signature and PIN transactions. The NetSpend® Visa® Prepaid Card remains popular with users because of its easy to understand fee structure. The card comes with three separate plans – a no-fee plan with a $1 fee for signature purchases and a $2 fee per PIN purchase transactions, a Fee Advantage Plan with a $9.95 monthly fee and free unlimited transactions, and a NetSpend Premier FeeAdvantage Plan with a $5.00 monthly fee and free unlimited transactions. Perfect for users who want to make unlimited transactions without additional fees. The American Express Serve® is one of the best prepaid cards because it is low cost and provides easy ways to avoid fees and add cash. The $1 monthly fee is already very low, but the fee is waived if you use direct deposit and load just $500 onto your card each month. Moreover, you can load cash for free at CVS and 7-Eleven stores. Most other cards offer large retail networks but those retail partners often charge their own fees to add cash at their locations. This card is also great for families. You can set up sub-accounts for your kids and set spending limits for them. The card also has a reserve function, so you can set aside money each month for a large purchase or family vacation. Please Note: The American Express Serve® offer is currently unavailable. The READYdebit® Visa Prepaid Card features what you’ve come to expect from prepaid debit cards including online bill pay, free direct deposit, and cash back with purchases. Depending on the type of READYdebit® prepaid card, you may or may not have to deal with signup and monthly fees. For example, while the Select card waives the set-up fee, you could be charged a one-time set-up fee of $4.95 when you get the Control card. Vice versa, if you opt for the Control card, the monthly fee is waived while the Select card comes with a fee of $9.95/month. Be sure to review each option before signing. American Express Bluebird® is growing in popularity due to its lack of fees and how easy it is to use. Not only does Bluebird come without any minimum balance requirements, but it also comes without monthly or annual fees, overdraft fees, foreign exchange fees, bill pay fees, inactivity fees, or card replacement fees. Generally, it’s wise to consider all your options before deciding on a prepaid debit card. Checking accounts, for example, have fewer fees and stipulations when compared to prepaid debit cards. That being said, there are scenarios where a prepaid debit card can come out as the winner. If you can’t open a free or low-cost checking account. People who have a history of not paying bank fees or overdrawing their account will get flagged in ChexSystems, which is a special credit system that banks use. If you don’t like certain bank fees, like overdraft or service fees. Most banks offer some free checking options but, if you overdraft your account often, you’ll rack up fees. If you don’t want online purchases to have any link to a bank account or credit card. You can limit the amount of money on the card so, if anyone got ahold of your information, your downside is limited to what’s on the card instead of your entire bank account! If you do not fit into any of the categories above, then your best bet is to sign up for a free or low-cost or free checking account. If you’re someone who has bad credit and you’re looking to build it back up, you may be better off with a secured credit card in addition to a prepaid card. 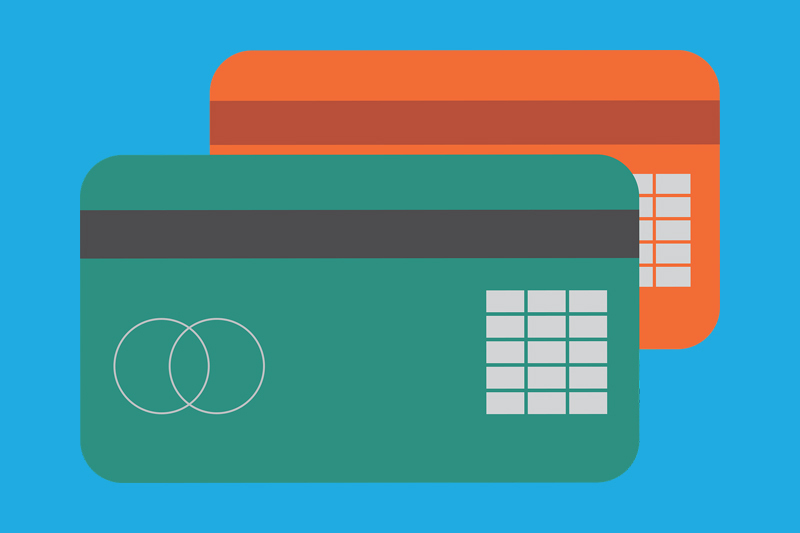 No, a credit history is not required in order to be eligible for a prepaid debit card. In fact, the original design of the prepaid debit card was so that people with poor or nonexistent credit history would still have the convenience of not needing a bank account to use a card. Unlike credit cards, you can’t spend beyond your means with a prepaid debit card and, once the preloaded funds run out, the card will usually expire (unless you buy reloadable packs – more on that later). However, prepaid debit cards will not help you build or establish a credit history. You can find a variety of banks and credit unions nationwide that offer prepaid debit cards. However, the types of prepaid debit cards and their various perks will vary. To get a better perspective for your situation, we highly recommend contacting your local bank or credit union of choice to find out more about their offerings. Additionally, prepaid debit cards can be purchased in most major drugstore chains and supermarkets. Monthly Fee. This is a fixed monthly fee that you must pay even if you don’t use your card. Balance Inquiry Fee. Many prepaid debit cards charge $2 to $5 every single time you want to check your balance online. Paper Statement Fee. If you don’t opt into paperless statements, you might be charged a fee for your monthly statement. Bill payment fee. Some prepaid cards have online portals, but using them to pay your bill incurs a small fee — usually around $2. Inactivity Fee. If you don’t use your card for an extended amount of time, you may be charged an inactivity fee. Cancellation fee. If you decide to cancel your card before it expires, you could be charged as much as $30. Yes. In most cases, prepaid debit cards are reloadable. This is due, largely, to the fact that you cannot overdraw on a prepaid debit card. The only funds available are the funds you put on the card. If you use up the available funds, you must add more money or “reload.” This is usually done either by purchasing “reload packs” or direct deposit through from a checking or savings account. As with anything loan related, you want to be especially diligent when it comes to prepaid debit card loans. Make sure you are fully familiar with any hidden service charges and don’t rush into anything.